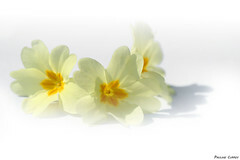 It’s Springtime, the weather is sunny and the temperature is absolutely perfect for a picnic … but a strange sense of “wintermissing” grabed me so i’ve decided to prepare this rich and tasty recipe that suits more a snowy day. I really like it !!! 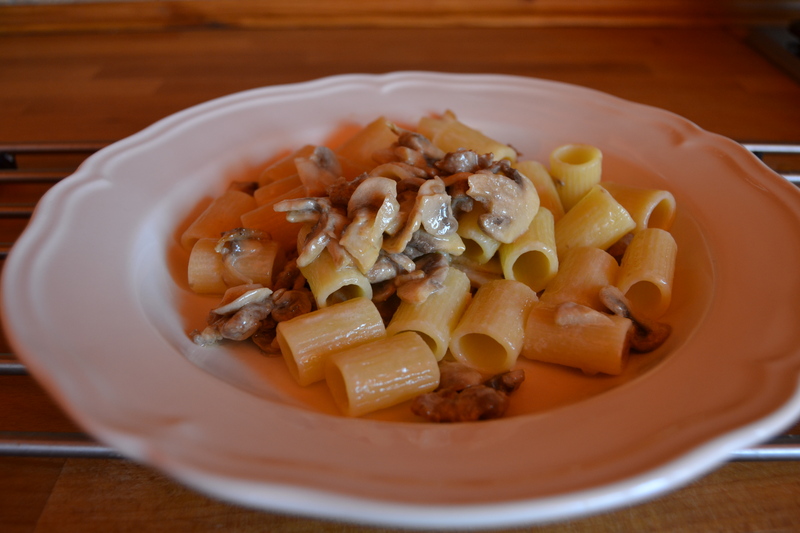 This is a typical tuscan recipe but to prepare the real one, you are supposed to use Tagliatelle and Porcini mushrooms. It’s Spring and it is impossible to find fresh porcini mushrooms and,as i told you, i feel strange so i’ve decided to cook this type of pasta (mezze maniche rigate !!!). Heat the oilve oil and butter in a pan, sautè the onion. Peel the salsicce and crumble them in the pan. 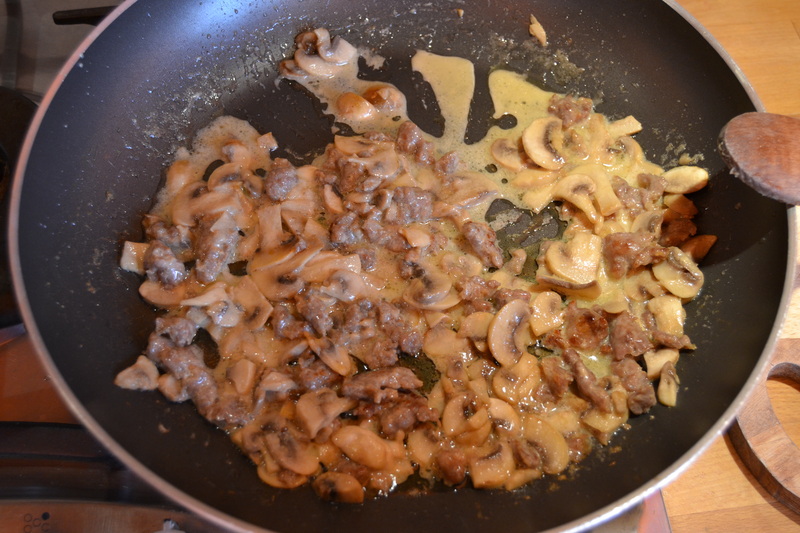 Add mushrooms and the fresh cream and cook until the cream become thick. 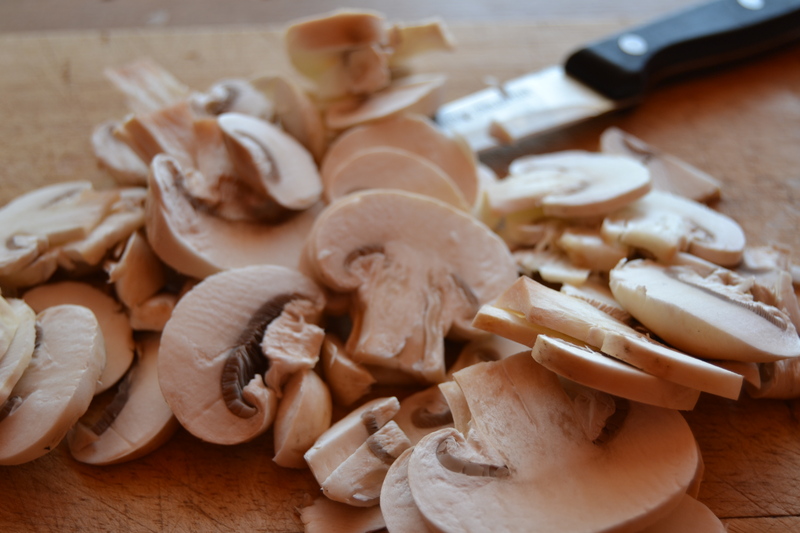 Cook pasta and, when it’s ready, drain and stir it in the pan with mushrooms mixture, heat through. Sprinkle parsley on top. This dish is rich but also delicate, and it’s perfect if you do not want to taste too much the mushrooms. Definetively the recipe is better using the porcini mushrooms. If you use the porcini do not put fresh cream, you’ll lose their really good taste!!! This looks so good. I love that I could easily put it together on a weeknight after work…Thanks G! ciao ! This recipe is very easy to prepare !!! 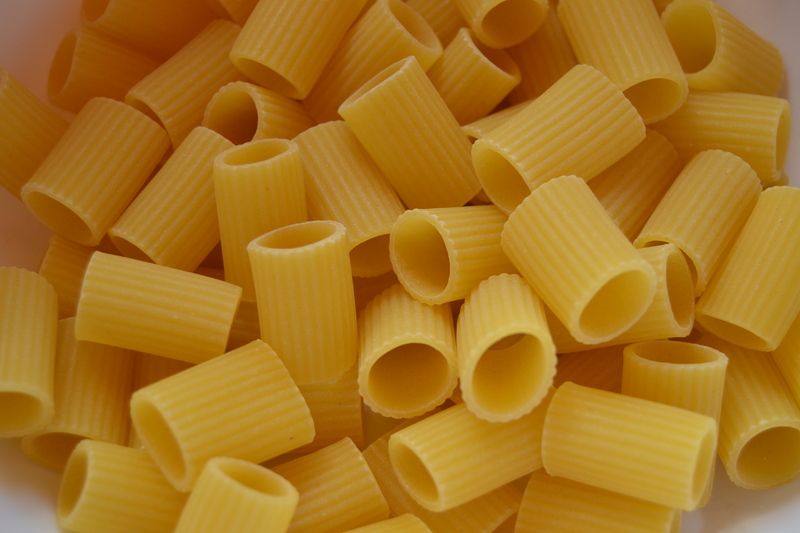 We have been having cold and windy days lately and your pasta sounds perfect. Thank you ! I wish you Buon Appetito !! !